BUT HAS HE WON ANYTHING? It all started it off on July 27th 1992, when Sean was born in Ottawa, Ontario. Two years later he had his first day of skiing at Camp Fortune where he quickly became one of the best skiers of the mountain. In 1999, Deb Hillary, a.k.a Mom, decided to move Sean, and big brother Callum, out west, to Whistler, BC, where they could ride some of the best backcountry terrain in the world. It wasn’t too long after that, that Sean started getting recognized for his talent. At the ripe age of 11, he landed his first major sponsors, K2 and Oakley, when he didn’t even understand that skiing could be his job. Shortly after, Sean signed with Red Bull, becoming their youngest athlete ever. Today, he is one the most renowned big-mountain skiers in the sport who starred in countless films, won multiple awards, appeared on numerous magazine covers, won the Red Bull Cold Rush, two years in a row and even produced his own ski movies. Sean has no intention of slowing down, his goal is simply to enjoy every moment and inspire the next generation. "The day that I stop inspiring, is the day that I'll stop doing it." "I remember in December of 2003, I was just 11 years old, Tanner Hall asked me to be in his upcoming ski film. At the time I didn't even know who he was, but I said yes...obviously." Opening segment of MSP's "In Deep"
Closing segment of MSP's "The Way I See It"
MSP's "Attack Of La Niña"
Closing segment of PBP's "We"
Opening segment of PBP's "Tracing Skylines"
First Super Proof film, produced by Sean, "The Recruitment", is released. Super Proof's critically acclaimed "The Masquerade" is released, also produced by Sean. Stars in Red Bull TV series "Keep Your Tips Up". Watch here. Stars in Red Bull TV series "Keep Your Tips Up" Season 2. Watch here. Launch of "Friendly Rippers". A social series released on Instagram and Facebook only. Follow Sean here to stay up to date on the latest episodes. 2008 ➝ 2nd place in Red Bull Cold Rush competition in BC. 2010 ➝ 1st place in Red Bull Cold Rush competition in BC. 2010 ➝ 2nd place in Red Bull Linecatcher competition in France. 2011 ➝ 1st place in Red Bull Cold Rush competition in Colorado. 2011 ➝ 1st place in Red Bull Linecatcher competition in France. 2013 ➝ Silver medal in X-Games Real Ski Backcountry Competition. 2015 ➝ Bronze medal X-Games Real Ski Backcountry Competition. 2004 ➝ Powder Award for Best Humour "WSKI 106". 2009 ➝ Wins his first major powder award Breakthrough Performance for video part in "Claim". 2010 ➝ Wins Powder Magazine Video award for Skier of the Year in “In Deep”. 2010 ➝ Wins Full Throttle Powder Magazine Video Award. 2011 ➝ Wins both IF3 Montreal award, and IF3 Europe award for Best Male Performance in “Attack of La Niña”. 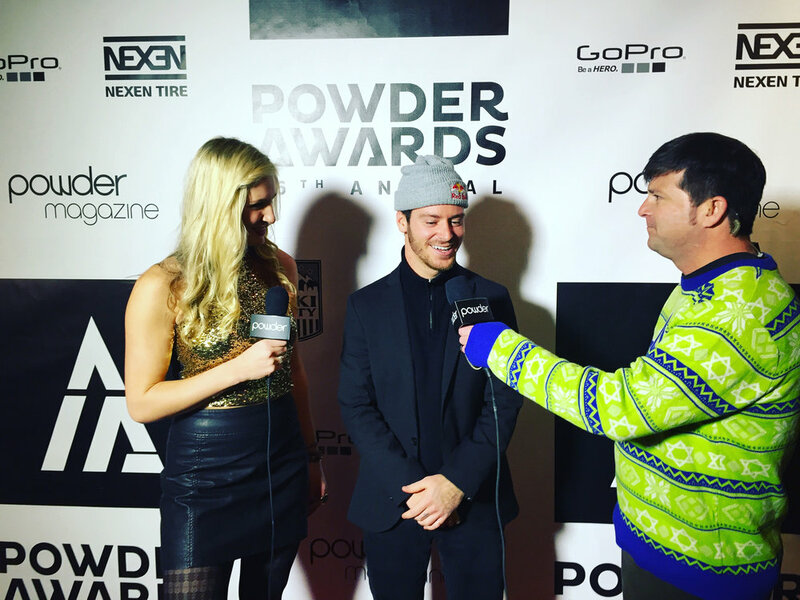 2012 ➝ Wins Powder Magazine Video Award's for Skier of the Year. 2013 ➝ Powder Magazine Awards for Best Natural Air. 2014 ➝ Powder Video Awards for Best Man Made Air. 2015 ➝ Wins three IF3 awards: Best Male Skier, Best Backcountry Film, Best Cinematography. For inquiries please contact Superheroes Management here. Thanks!